I believe that positive change and growth does not happen by accident. There is usually an essential event in our lives that causes us to realize that we must first change ourselves in order to change the world. I had such a pivotal event happen in my life. 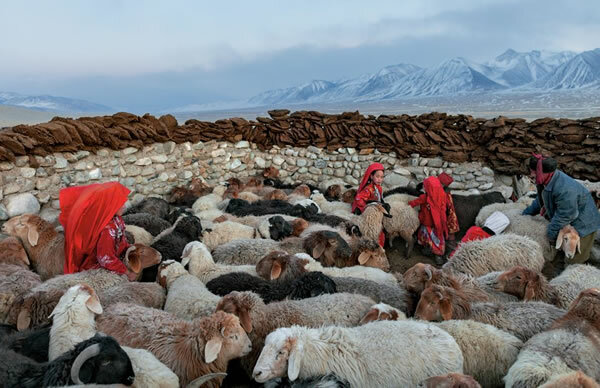 It was a cold Wednesday afternoon in rural Afghanistan, the day before the weekend in Islamic culture. The mullah asked all of his students to come to the mosque earlier than usual. Everyone wondered why. At 12:30, when we finished praying, we returned to our places and waited for the mullah to share his news. He took a deep breath and said: “The Taliban is defeated by American troops. Now, it is the time to celebrate this happiness. But, my question is, who wants to go to school this spring?” Both girls and boys raised their hands. I was awakened by his sentence. He did not believe that the girls could go to school. But then I went to school with many other village girls, and our good marks opened the mullah’s eyes. There are big and small ways to change the world. Before starting school, my world was as limited as my small village. I had my family, forty other families in the village, and my lambs. My village was blocked by high mountains and every day was a repeat of yesterday: shepherding the lambs, going to mosque, and carrying ten jars of water from the spring each afternoon. Then counting the livestock to make sure the shepherd returned all of them safely. Although I had a happy childhood, far from war and killing, something was missing. I wanted to explore new things, maybe a different world. It was not easy to disregard that belief. But there were some people who did not agree and helped the village girls to go to school in order to help their families. For example, I was dreaming of being a journalist while the people around me were making preparations for my marriage. It was very discouraging for me when my relatives and even my friends were making fun of my plans and thought of me as a daydreamer. Both home and society became insecure places where I could not trust anyone or share my thoughts. Finally, I realized that instead of arguing with them, I should show my family and relatives that I can make my dreams come true. I decided to finish my higher education overseas. I applied for schools. I earned the support of my mother and others who now believe in my abilities. When I was admitted to a university in the United States, my mother became happier than me, which made me cry. My actions were a huge success. I was not surprised by his astonishment because there are people who look at Afghans as uncivilized and backward people. I am not shocked when my classmates question the way I dress, ask me if I met Osama Bin Laden, or when they only know about bomb blasts in my country and tease me about forced marriage in Afghanistan. I am not surprised when my professor thinks that I will not go back to my country. I am not angry when a TV show scares people from going to Afghanistan by pointing to Kandahar on the map. The questions are disheartening, but I have learned to answer all the questions with a smile. I believe everyone is able to affect change in the world in her own way. Now my classmates, my professors, and my school’s staff see me as simply human, like them. Kamilah’s story will continue in part two. Photo by Matthieu Paley. The world needs you! Not only the United States and Afghanistan! Your writing is worth for attention. Keep writing and spreading what you know and feel! Supports from Hong Kong! I am proud of you Kamilah Jan. Afghanistan needs education and only things can help it to come out of the unpleasant situation is educated people like you. You show much appreciation for your opportunities and you are using your gifts wisely. You have found that knowing others helps us know ourselves better also. Thank you for your wise words. So beautifully written, and so wise. I enjoy your writing Kamilah, and hope you continue to share your wisdom and insight with others. We can learn so much from you. So encouraging to see young people accomplishing big dreams. My favorite part of your writing is the hope that you communicate. Great job!